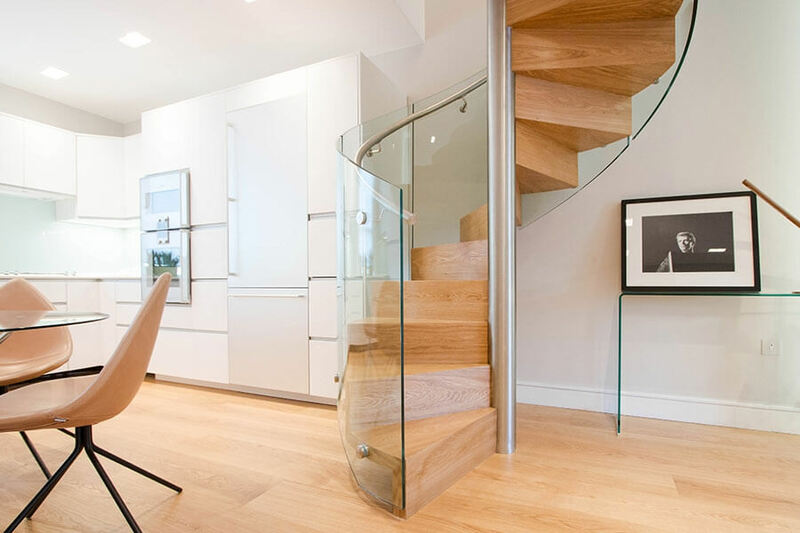 The spiral that added a dramatically sculptured look to the kitchen. 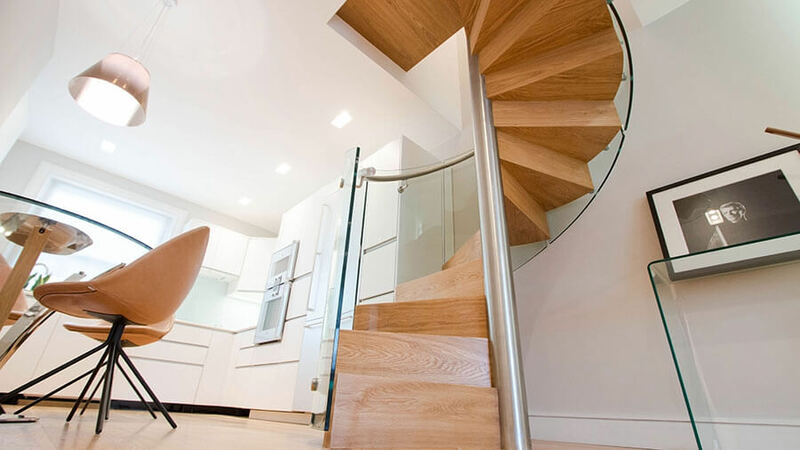 The client’s requirement was to make a staircase a focal point in the kitchen. 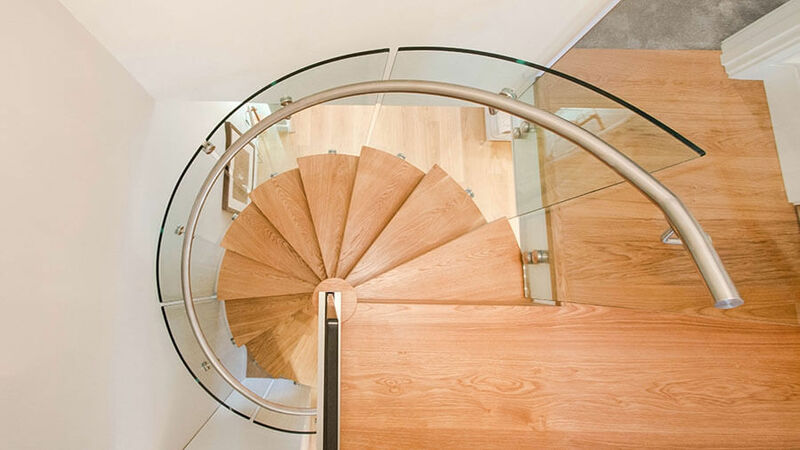 There was no better choice than a spiral stairway that has a great potential to make a statement on its own. 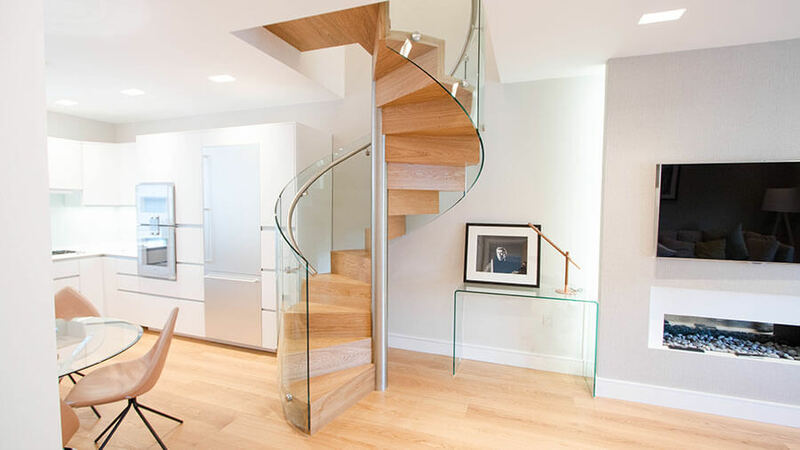 We crafted a unique flight of stairs with solid oak treads and risers, giving it the zigzag shape that added a dramatically sculptural look to the interior of the house. 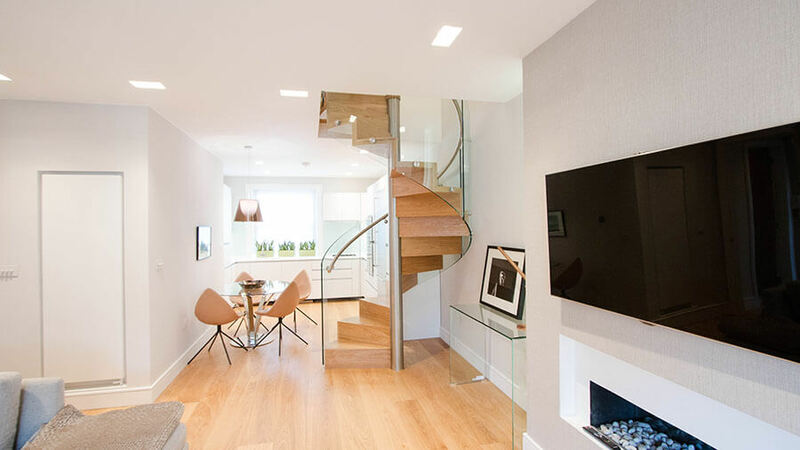 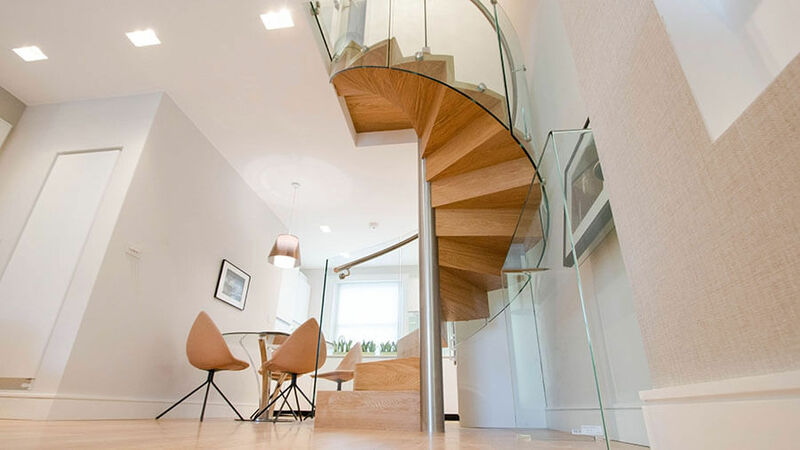 The balustrade consists of a series of reinforced curved glass panels and an offset stainless steel handrail, the design that makes the spiral elegant and timeless.